WASHINGTON—Acknowledging the longtime aide’s many years of service, House Speaker Paul Ryan announced Tuesday that his conscience would no longer serve as a key policy advisor. “While my conscience has played an important role in helping me develop a number of policies to this point, it will nevertheless be stepping down from the position effective immediately,” said Ryan, whose resolve to officially dismiss his conscience reportedly reflected its markedly decreased influence over his decision-making in recent years. “Unfortunately, I find myself consulting with my conscience less and less on important issues affecting our citizens. While I am grateful for its guidance, I’ll be proceeding without it as of today. 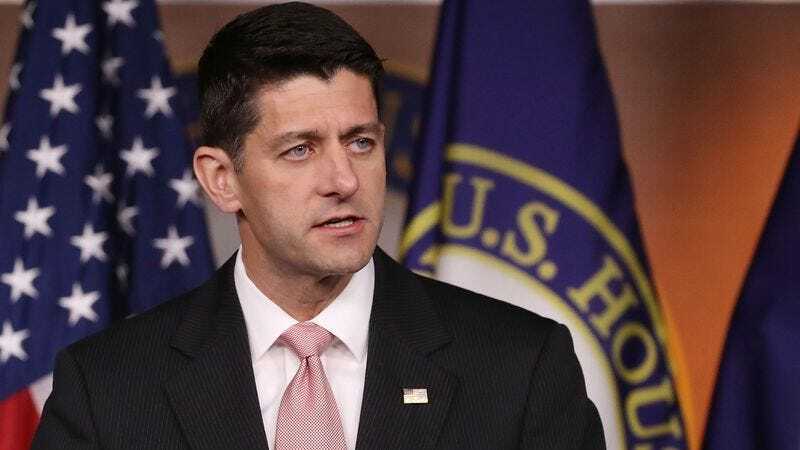 Its departure will surely be felt by our team and no doubt throughout Washington.” At press time, Ryan announced that all policy-making going forward would be guided by his self-interested cowardice, which the speaker said would be an indispensable partner for the foreseeable future.